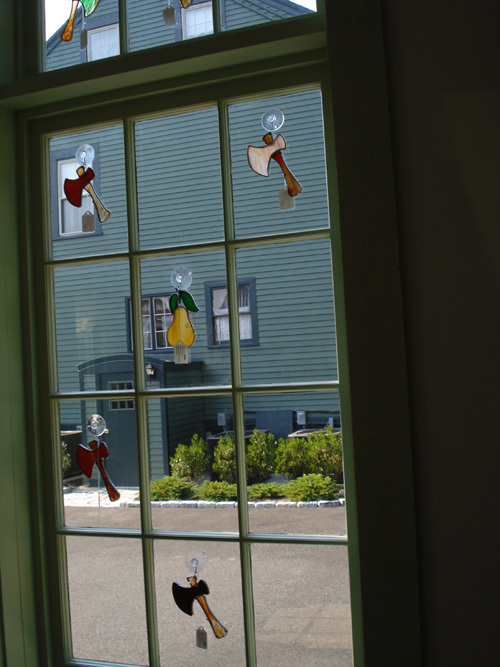 The recent record heat in the Fall River-Providence area over the past week brought brilliant hot sun all week, reflecting through the stained glass suncatchers hanging in the Borden Barn Giftshop at #92 Second St.. The ornaments are made by a local artisan and are heavy glass with leading. The hatchet has a L.A.B. monogram. The items are available online at the website.